Star Trek Online 2019 • Junior Officer Weekend - KABALYERO - PLAY, BLOG & EARN! 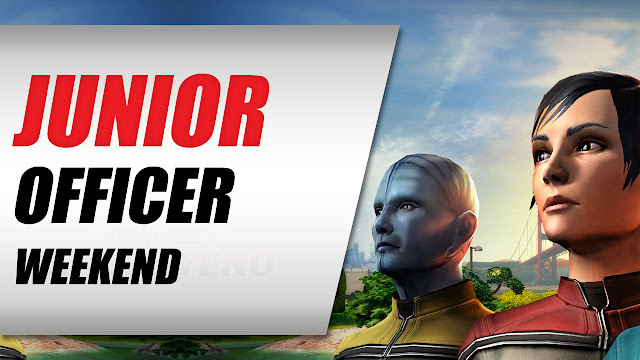 #StarTrek Online is running another Junior Officer Weekend where you can get Duty Officers for FREE. Also, #StarTrekOnline did not just re-posted and re-run this Junior Officer Weekend Event, they also forgot to update or change the event's running dates. Well, everyone makes mistakes specially when copying and pasting information from old or previous information. Besides, it's not really an Event Breaking Mistake.